Read Pt. 1 on Combat Training. The Navy’s tactical ignorance is built into its arsenal. Currently some of the Navy’s most important weapons development programs are not just evolutionary, but revolutionary in the possibilities they open up. This is not due to innovation, but instead many of these noteworthy and foundational capabilities are finally arriving decades after the technologies were first proven, many close to half a century ago. 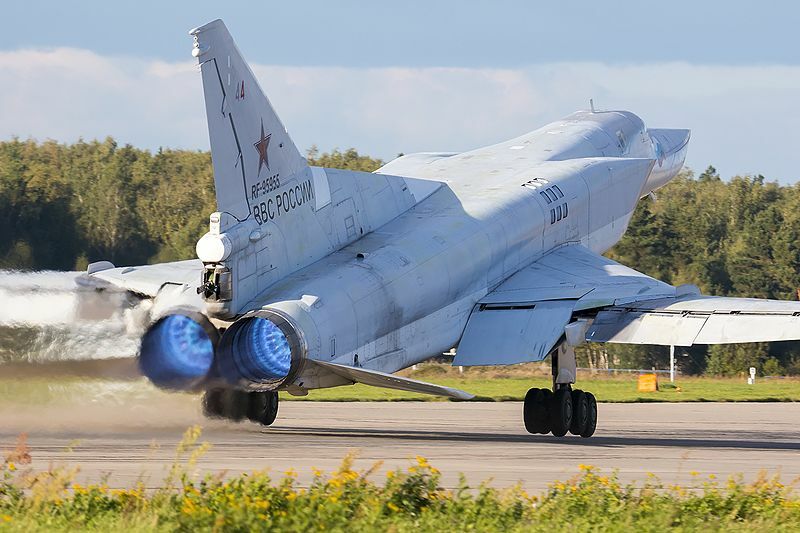 Many of these most crucial weapons are already in the hands of great power competitors such as Russia and China who have had decades of opportunity to train and refine tactics with them. One of U.S. Navy’s gravest errors in handicapping its own development was neglecting the development of long-range offensive firepower in the age of missile warfare. What made the anti-ship missile a revolution in naval warfare was its ability to deliver a powerful pulse of firepower comparable to that of an attacking wave of carrier aircraft through a combination of high speed, large warhead size, and salvo fires. Harpoon failed to take advantage of arguably the most important attributes large naval platforms bring to the fight – capacity and staying power. The surface fleet ships that do carry Harpoon only carry eight, a small sum. This is in spite of the fact that all U.S. Navy large surface warships have around 100 vertical launch cells for missiles and where Harpoon is much smaller than launch cell-compatible missiles like Tomahawk. 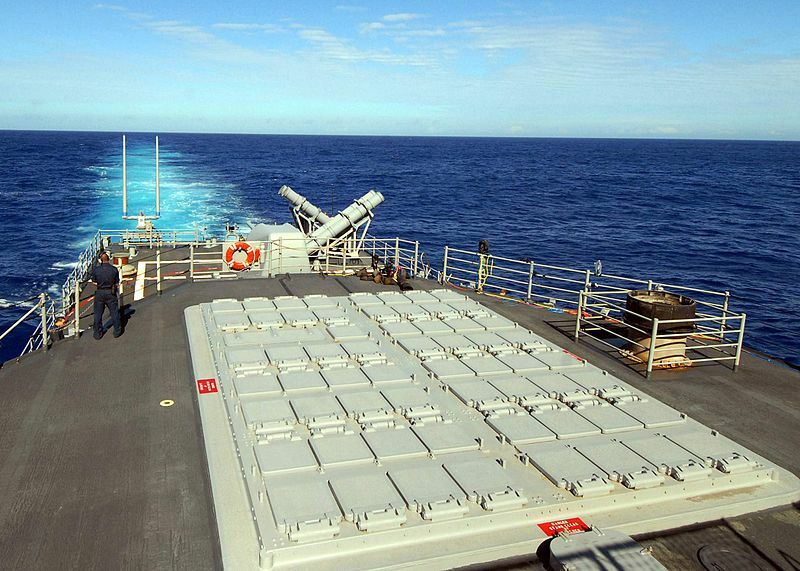 The Navy did come close to effectively fielding a long-range anti-ship weapon. However, the Navy never truly integrated it by only procuring a small quantity and eventually taking it out of the inventory entirely. Ill-conceived arguments were put forward to justify taking these weapons out, such as how the Navy could not likely target the missile to the maximum extent of its range and the Navy’s current anti-ship missile seekers would be ill-suited to congested waters featuring a mixture of hostiles and non-combatants.11 However far the Navy could target Tomahawk was going to be far better than what it was getting with Harpoon. The Navy certainly accepted a 200-mile anti-ship missile threat from Soviet forces. And if NATO had gone to war against the Soviet Navy it still could have fought in congested waters such as the Mediterranean and Baltic Seas. Still, the Tomahawk makes for a relatively poor anti-ship missile. It is subsonic and lacks aerodynamic features that allow for dynamic terminal maneuvering and where both drawbacks will lower its survivability. More missiles would have to be fired per salvo to achieve a similar effect offered by the more modern missiles coming to the fleet like the Long Range Anti-Ship Missile (LRASM) and Standard Missile (SM)-6. Tomahawk’s best feature is its long range of hundreds of miles which would allow a dispersed force to aggregate their fires into concentrated salvos via networking.12 However, both slow speed and long range increase the dependence of the missile on in-flight retargeting updates and creates a more burdensome kill chain. It is also questionable to use such a large warhead when modern missile seekers using passive sensors can attempt to pinpoint their strikes on ships. If a missile can confidently choose to hit a ship in the magazine or in other spaces that guarantee a mission kill then missile design can more readily trade warhead size for extra range and speed. One of the most fundamental trends of military capability is that of reinforcing the kill chain, or the process by which targets are found by sensors and then fired upon with weapons. This process requires certain levels of information from simple detection to targeting-quality data. A key challenge is in keeping the kill chain resilient and freshly updated once the weapon is fired and travels a distance to its target. In response to being detected or coming under fire a target can change its behavior and launch decoys which can require new targeting inputs. 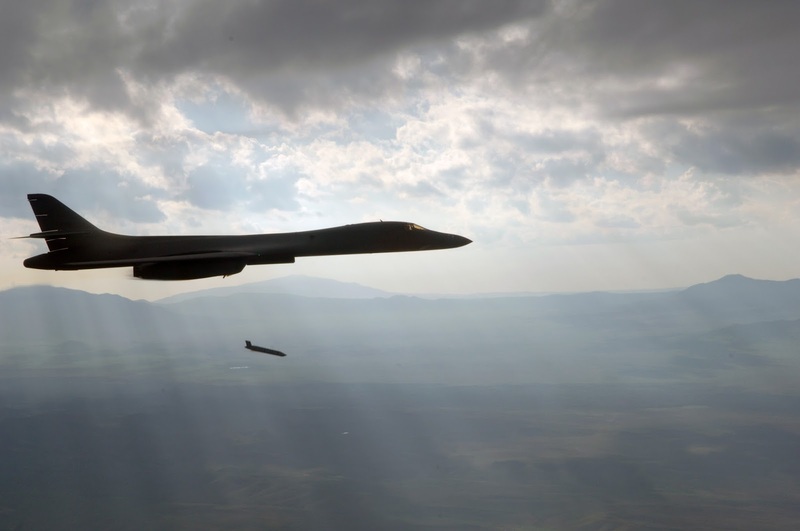 Arguably one of the most information intensive fights among the warfare areas is the anti-air mission where sustained radar energy must steadily illuminate speedy aerial targets over great distances in order to guide a missile toward a hit. The difficulty of steadily illuminating a dynamic aerial target can be somewhat mitigated by putting a radar seeker into the missile itself, a capability known as active radar seeking. This adds resilience to the kill chain and gives the missile some degree of independence from external illumination sources such as the radar of a ship or aircraft. 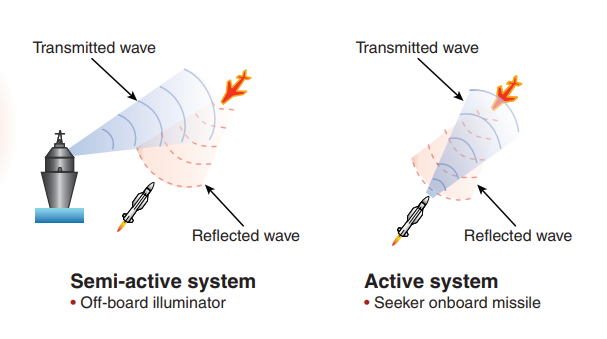 Usually active radar seeking is engaged in the terminal phase of the engagement given the relatively small size of the onboard seeker. Missiles that are totally dependent on outside sources for illumination operate under semi-active homing. 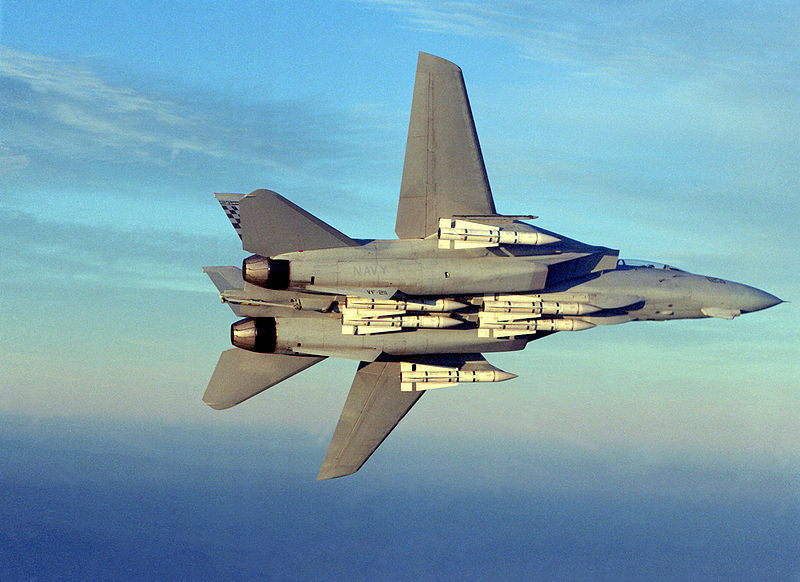 The Navy realized the potential of combining both semi-active and active radar homing when it fielded the Phoenix missile through the F-14 Tomcat that was the mainstay of the fleet’s air-to-air capability during its service life. The Phoenix missile could travel 100 miles and engage active radar seeking in the final moments to see the engagement through. The fundamental principle of building resilience into the kill chain by adding an active seeker into the payload itself is also reflected in the many torpedoes that have an active homing capability and in the Aster anti-air missile that is widely used by European navies today. Aircraft, through adjusting altitude and maneuver, are clearly not as inhibited as warships in illuminating their targets for anti-air engagements. If it made sense to put active radar seekers in anti-air missiles used by aircraft then it should make even more sense for a ship which must contend with the horizon and cannot maneuver in three dimensions like aviation. If an aerial target dives in reaction to being sensed and engaged then an attacking missile could use its active radar seeker to chase the target below the horizon limitation of its illuminating ship in a bid to independently finish the engagement. Such a capability adds extra depth to a ship’s ability to defend itself below the radar horizon and at altitude. The Navy fielded active radar seekers over 40 years ago in the Phoenix air-to-air missile it procured by the thousands.14 The story is different for the surface fleet. In spite of this simple but important enhancement almost all of the Navy’s surface-to-air missiles do not have active radar seeking technology. The missiles that are the mainstay of the fleet’s defensive arsenal such as Standard Missile (SM) and the Evolved SeaSparrow Missile (ESSM) are only equipped with semi-active radar homing, and where this form of homing has tactical handicaps. Semi-active homing works by having an external source illuminate a target with its radar. The radar reflections are picked up by the missile, which then finds its way to the target with the assistance of mid-course guidance from the external radar. Because a ship is limited by the horizon, if a target dives deep enough, the ship will no longer be able to illuminate it with its radar to see the engagement through. Land-based surface-to-air missiles are not as inhibited by semi-active homing in spite of the same horizon limitation because they work in tandem with other anti-air systems. An aircraft diving low to avoid illumination over land places itself at risk of being engaged by shorter range anti-air weapons that do not reveal themselves through radar emissions. This tactic worked to great effect over Vietnam as radar-guided surface-to-air missile batteries forced American warplanes to drop altitude and fly within range of gun-based anti-air systems which ended up shooting down more aircraft than missiles.15 There is no similar effect at sea because capability is concentrated on warships. 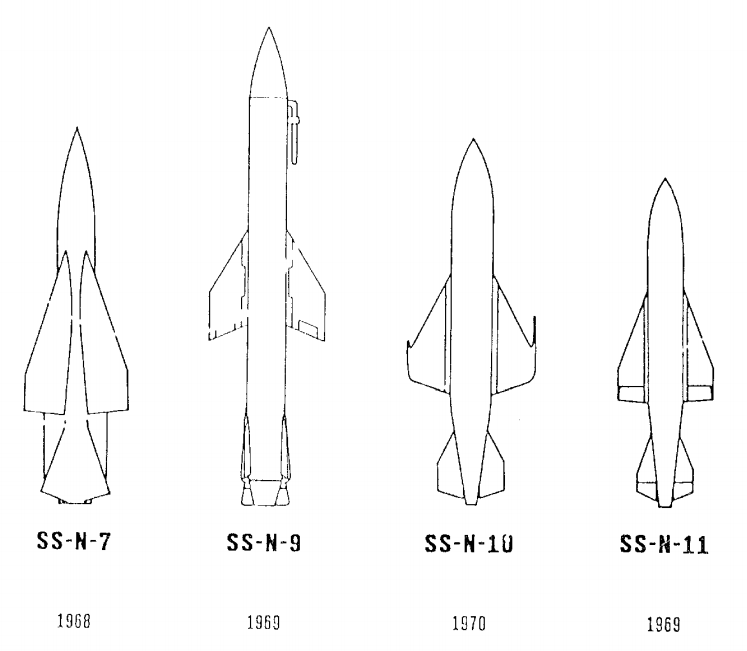 In the end the original Active Standard SSM never made it into the fleet though the same basic idea and capability would be replicated decades later. Despite many variants produced across nearly 50 years of service active radar seeking did not come to the Standard Missile family of weapons until SM-6 arrived in 2013. Even so, SM-6 does not have a unique seeker but takes its active radar seeker from the widely equipped AMRAAM air-to-air missile that entered service in 1991.18 SM-6 introduced an anti-ship capability in 2016, similar in concept to what was already deemed desirable many years ago in the form of the Active Standard SSM.19 SM-6 now bears the odd distinction of being both the Navy’s first long-range active radar seeking surface-to-air missile, and its first supersonic anti-ship missile. “We think we can destroy it; it is our business to attack it, and it is up to you to judge whether we can do it or not. Give the air a chance to develop and demonstrate what it can do!”–Billy Mitchell in 1921 urging Congress to support bombing warships with planes in testing. When combat is joined between missile-armed fleets the maneuver of individual warships will matter little in the near term because of the large disparity between ship speed and missile speed. Upon engaging in fleet combat a commander’s most flexible means to respond to risk and opportunity in timely fashion will be through speedy aviation. Despite its single-minded focus on using aviation to sink ships at range the Navy never effectively incorporated the use of heavy bombers. Heavy bombers can feature very long endurance and range, far superior to that of carrier aircraft. Bombers also have large carrying capacity that allows them to mount a level of offensive firepower comparable to that of a warship. Because long-range anti-ship firepower usually outranges anti-air firepower by a steep margin heavy bombers can have a powerful ability to fire effectively first against warships. Similar platforms exist within the U.S. military, but heavy bombers belong to the Air Force. It appears the Air Force bought very few Harpoon missiles with less than 100 in its inventory by the mid-90s.27 The full adoption of an anti-ship role for heavy bombers may have also been hindered by a combination of inter-service rivalry between the Navy and the Air Force as well as differing priorities in their contingency planning. Why was the Navy stuck with only the short-ranged Harpoon for so long, and why were competitors able to design so many more anti-ship missiles with greater lethality in the meantime? The answer may lie with doctrine. The aircraft carrier has remained the centerpiece of U.S. Navy anti-ship doctrine since WWII. Harpoon probably became the Navy’s first anti-ship missile and remained its primary anti-ship tool for over 40 years because it appears Harpoon was one of the first anti-ship missiles small enough to fit onto multirole aircraft, such as those flown from aircraft carriers.33 By comparison, airborne anti-ship firepower for the Soviets mostly took the form of enormous missiles that could only be carried by large bombers. The very short range of Harpoon was made up for by the long reach of aviation that could travel hundreds of miles and strike targets well before they could get within range to unleash their own anti-ship firepower. The small size necessary to equip carrier aircraft with Harpoon was a major limiting factor for missile capability with respect to range, speed, and size. Ship-launched missiles can take on far greater proportions such as Tomahawk or the early-Cold War era Talos anti-air missile that weighed over four times as much as Harpoon.34 But by not bothering to effectively field an anti-ship missile that was compatible with the thousands of launch cells across the fleet the Navy was unable to capitalize on core advantages warships bring to the fight – staying power and deep capacity. 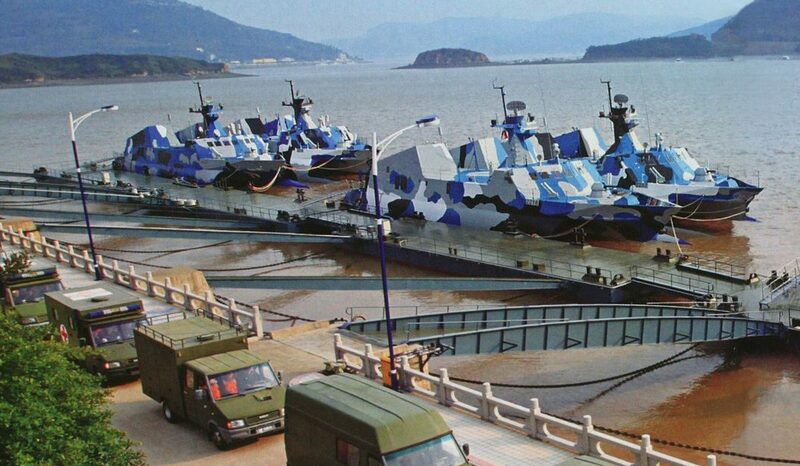 It is questionable to subscribe to a doctrine that deprives the surface fleet, the submarine force, and the heavy bomber arm of long-range anti-ship firepower. Russia and China have not made this mistake. With respect to anti-ship firepower in the age of missile warfare not only did the Navy bet the aircraft carrier would reign supreme, but that it could stand alone. While the reach and size of the carrier air wing could compensate for Harpoon’s shortcomings the rest of the fleet was stuck with a small, slow, short-ranged missile kept aboard in very low quantities. The U.S. Navy, so completely blinded by absolute faith in the supremacy of a single platform, failed to effectively field the premier offensive weapon of a new age of warfare. Part 3 will focus on Tactics and Doctrine. *Correction: Harpoon is equipped by a majority of the U.S. Navy large surface combatants unlike as was originally worded. Harpoon is found on a minority of U.S. Navy destroyers. 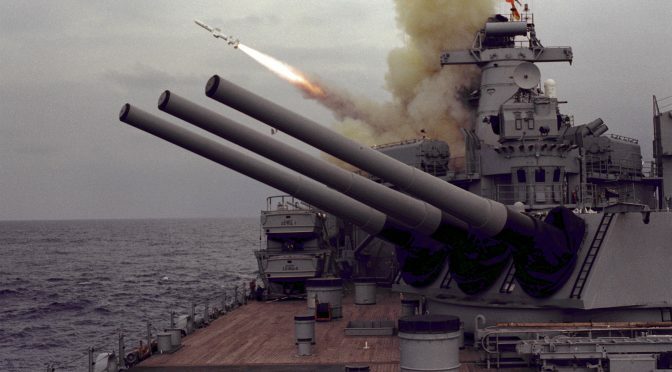 Note: Vertical launch cells that could fire Tomahawk missiles were fairly rare in the U.S. Navy until only after the Cold War, and where Tomahawk was also kept in deck-mounted launchers for many ships. Vertical launch cells became more common when Spruance-class destroyers were modified to accomodate launch cells in the 90s, and the concurrent introduction of the Arleigh Burke-class destroyers. 12. A caveat to this is that NTC training shifted to counterinsurgency operations and remained there for several years before shifting more toward high-end/hybrid warfare around 2012-2014. Colonel John D. Rosenberger, “Reaching Our Army’s Full Combat Potential in the 21st Century: Insights from the National Training Center’s Opposing Force,” Institute of Land Warfare, February 1999, https://www.ausa.org/sites/default/files/LPE-99-2-Reaching-our-Armys-Full-Combat-Potential-in-the-21st-Century-Insights-from-the-National-Training-Centers-Opposing-Force.pdf. 33. For amount of ships devoted to interwar period Fleet Problems see: Albert Nofi, To Train the Fleet for War: The U.S. Navy Fleet Problems, 1923-1940. 35. To get a sense of Cold War-era exercising standards and activity see the book Oceans Ventured (2018) by Reagan-era Navy Secretary John Lehman. The book is mainly about Navy exercises in the 1980s. 36. This is in reference to decision-making on employing the ship’s weapons and sensors, how to “fight the ship.” It is not in reference to things like damage control and medical assistance in which enlisted Sailors would play a prominent role. The author should give more weight to carrier born attack aircraft armed with long range ASCMs. Granted, the payload and range of carrier borne aircraft are less than long range land based heavy bombers, but four squadrons of attack craft (typical air wing) on a CVN can deliver upwards of 240 air launched ASCMs, and the range with aerial refueling is effectively unlimited. The fact is that surface ships are not very good platforms for anti-shipping warfare, and this has been true since the early days of World War Two when carrier aircraft destroyed entire fleets of heavy battleships and opposing carriers, along with destroyers and cruisers too. Air wings can deliver a huge salvo of ASCMs, return to the carrier, refuel and reload, and deliver another huge salvo within hours … while surface ships can deliver only a small salvo, and then take weeks to steam back to port, refuel and reload, and then steam back to deliver a second salvo. The air wing can literally deliver dozens of salvos in the timeframe it takes for surface warships to deliver two. Aircraft automatically also have far better and longer ranged sensors than surface warships, with respect to sensing surface targets. Also, the author gives too much weight to supersonic ASCMs, and not enough weight to stealthy, smart, highly precise subsonic ASCMs like our new Naval Strike Missile and LRASM. These missiles are far more survivable than supersonic missiles, which can still easily be shot down by current shipboard missile defenses. Our Navy did not forget how to fight. Thanks Duane. From what I can tell F-18s can pack about four Harpoon and two LRASM so I think the overall throw weight is a bit less than 240 ASCMs for an air wing’s strike fighters. I’m no WWII history buff so I might be wrong on this, but my impression is that the squadrons did not have multiple cycles of returning to the carrier to rearm, refuel, and sortie out again during the carrier-on-carrier battles. So when the combat dynamic consists of fast and powerful waves of firepower (such as carrier aircraft and missile salvo) washing over slow ships, much of the battle could already be decided in a short enough of timeframe that even carrier aviation’s advantage when it comes to reloading could be negated. So if the timeframe of decisive tactical results is that short then warships may prove better. A trio of destroyers could launch more ASCMs within a short timeframe than all the strike fighters in a carrier’s air wing. I completely agree with aircraft having a sensing advantage over warships. I envision them working together where aircraft would have to cue warship fires. I didn’t go into depth in the more modern missiles here, but I agree that LRASM and NSM are extremely capable, especially with regard to their seekers. For survivability while subsonic missiles have more flexible maneuvering my argument is predicated on the idea that having less time to be sensed and shot down is a greater advantage. I’m figuring that ASCM capability will trend toward faster missiles, and it appears some hypersonic ones are even in the works. The mix of missiles used on attack aircraft will vary, and we are just now beginning to outfit aircraft with the latest generation of ASCMs. LRASM are on the heavy side at about 2,200 pounds each without booster (i.e..,for air launches), while NSMs are relatively lightweight at about 900 pounds each. A F-35C can carry two NSMs in the internal bay and at least four missiles, perhaps more, on the external hard points, with a total weapons load of 18.5K at max loadout. A Super Hornet should be able to carry at least two LRASM on the inboard hard points and then at least four more NSMs on the more outboard hard points. F-35B models will be a bit more limited than the C model, i.e., to carrying ASCMs only on the external hard points, since NSMs will not fit in the B’s shorter internal weapons bay. 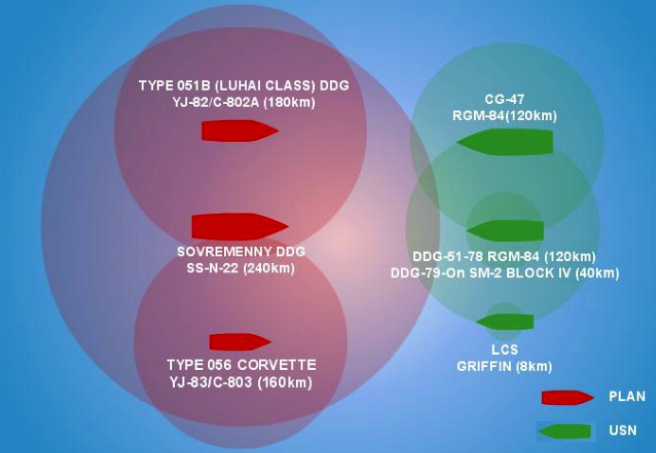 Carrying external long range ASCMs on the F-35C or B will have no practical impact on their stealthiness, since the missiles can be launched from such long distances (150 nm for NSM, and 350 nm for LRASM). The attack aircraft would likely fly a high-low mission profile, dropping down to lower altitudes beyond range of enemy radar just prior to launch, and easily evading the longest ranged surface ship radars. And don’t forget long range ASCMs launched from land bases, as our Marines are already doing (they recently completed a successful test fire of NSM at a surface target from a ground launcher in Hawaii). As the missile ranges are continuing to be extended, there will likely soon be nowhere within the first island chain in West Pac or the SCS that will be safe from allied land-based ASCMs .. and ditto in eastern and northern Europe, the Med, and the Persian Gulf. The Surface Warfare community should be very, very worried about the new age of long range ASCMs. There will literally be no practical sea theater that will be safe from ASCMs. Sure, they can steam around in the middle of the Pacific Ocean (although still within range of transcontinental heavy bombers), but there is nothing there to protect. Navies are all about sinking and protecting ships that have to travel to and from land … ships don’t sail around in circles in the middle of the ocean, going from nowhere to nowhere. Great points all around. Perhaps I could have also included a section in this article on land-based ASCMs since that is something competitors have also had for quite some time but not the U.S. That’ll be a really critical thing to get right.